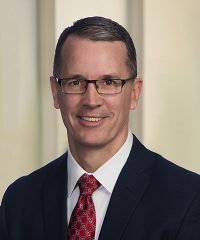 Matthew Hurley, Partner & Chief Financial Officer, joined Falcon at its inception. Prior to joining Falcon, Mr. Hurley was with John Hancock Financial Services Inc. where he had most recently served as Controller of Hancock Mezzanine Partners, LP. Mr. Hurley received a B.S. in Business Administration from Bryant University. In addition to serving on the Financial Executive Alliance Board, Mr Hurley is also a member of the Private Equity CFO Association and a member of the Treasurer’s Club of Boston. Schools attended – B.S. in Business Administration from Bryant University. Prior work affiliations – John Hancock Financial Services, Inc.
Outside affiliations – Board Member Financial Executive Alliance, Member of the Private Equity CFO Association, Member of the Treasurer’s Club of Boston.